Today I had a great time watching my nephew play a few games in a basketball tournament held in the area. He's certainly become quite an athlete in just about every sport he tries and basketball is no exception. 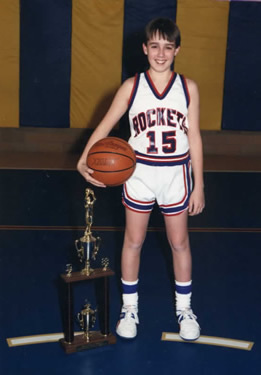 Watching the games, hearing the squeak of the shoes on the court, and smelling the popcorn in the air took me back to my own days of playing basketball. Well, sort of playing. 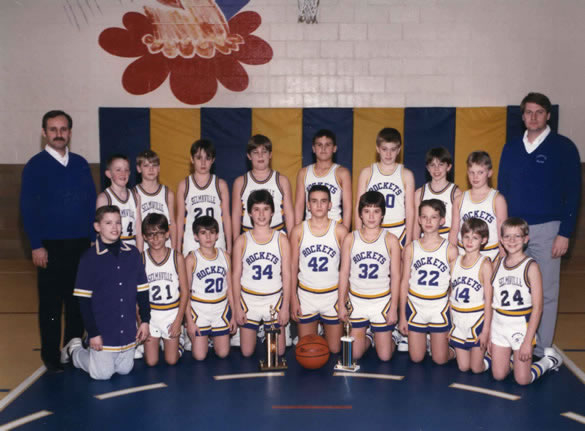 During my grade school years at Selmaville, I played organized basketball from 3rd grade through 8th grade. 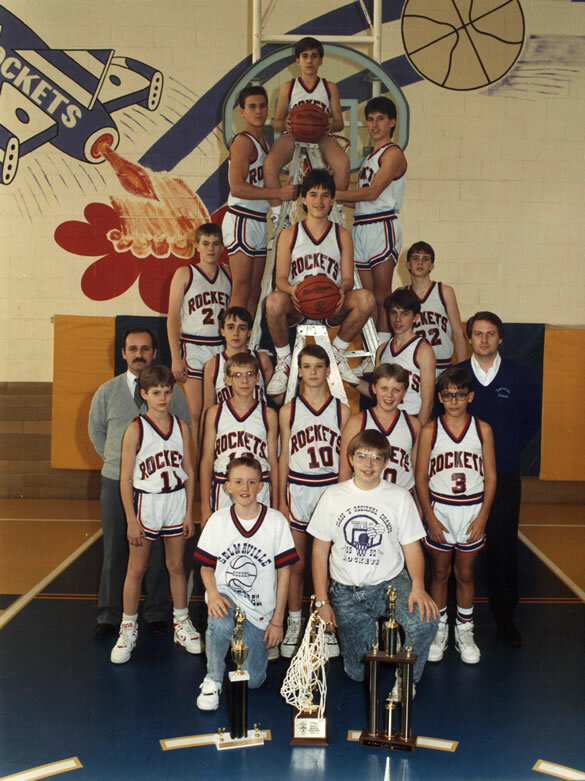 For 3rd and 4th graders, Pee-Wee basketball was for anyone who wanted to sign up. 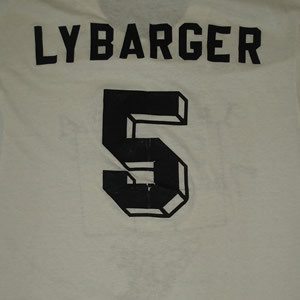 Here's the player introductions before a game when I was in 4th grade. Salem readers, you're sure to recognize some names and faces. Moving into 5th grade, I was faced with the pressure of a cut sport. 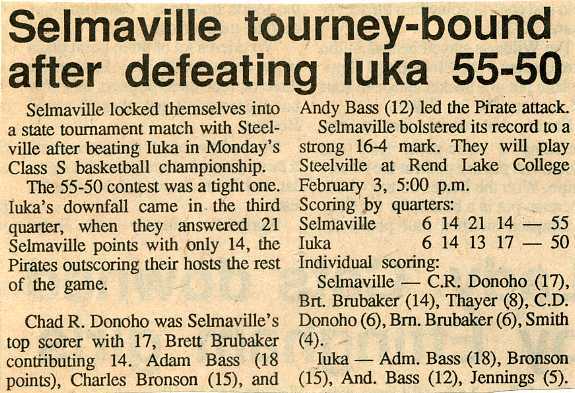 Doubting my abilities from year to year, I still managed to make the team every season, although I can't say I ever experienced much in the way of extensive playing time. Now I've never claimed to be an athlete. I might claim that I like to participate in athletic activities, by my average skills hardly make me an athlete. 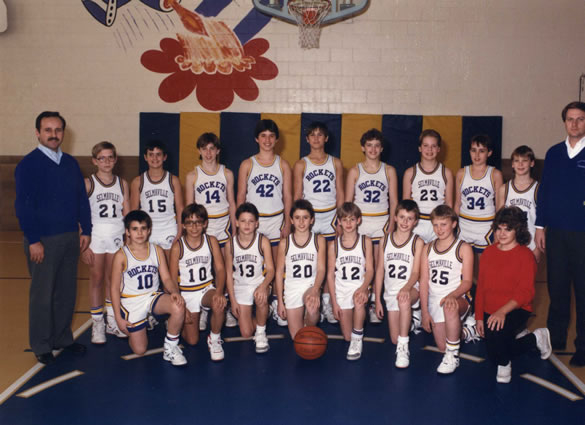 The handful of minutes I actually got my feet on the basketball court during a game produced nothing more than a couple of lucky baskets, a few fouls whistled in my direction, and some confusing minutes wishing I'd paid closer attention in practice when we were running plays. Each and every spring, however, I set a goal for myself to work hard over the coming months to prepare myself for the new basketball season. I would set up workout/practice plans for myself. I'd think about how hard work could earn me some time in uniform doing more than warming the bench. I even had a Gatorade water bottle with my name on it because that would help, right? 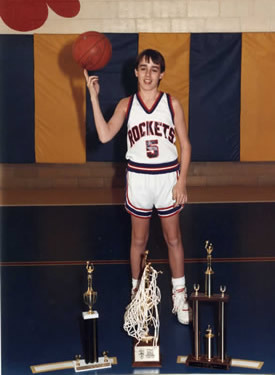 As could be expected, I never followed through on my plans and my basketball career held steady with my position on the bench. "Adm. Bass", if you're reading this, this video is for you. At the state tournament, we were losing badly in our first round game and I had the opportunity to get my name in the books by playing the final few minutes of the contest. When the coach called my name, I got cold feet and told him I had a stomach ache. 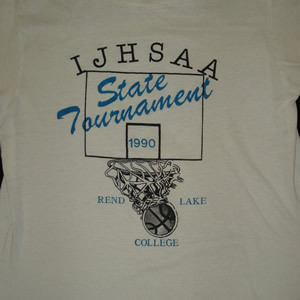 Today I can say that I got to the state tournament, but I never played in the state tournament. Either way, I got a t-shirt. At the end of that school year, our coach left our school to take a new position elsewhere. At the sports banquet in the spring, before he had announced his plans for the fall, he presented awards to his players as usual. This year, however, many players got more than just a letter and certificate. 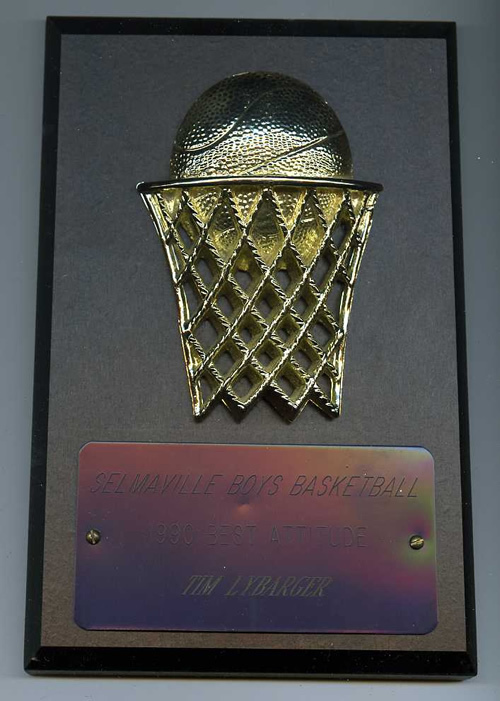 All of the eighth grade boys on the team, for one reason or another, received a plaque with our name and specific award detailed on it. I got "Best Attitude." To this day, my firm belief is that our coach knew he was leaving and wanted to do something special for the last Selmaville team he would coach. Did I really have the best attitude? Probably not. But I certainly didn't deserve "MVP" or "Best Defense" and considering all of the time I spent handing water bottles to my friends, maybe my attitude wasn't too bad after all. It may not come as much of a surprise that I still have every bit of this stuff -- certificates, t-shirts, letters, tournament programs, photos. I swear I've never thrown away anything in my life. 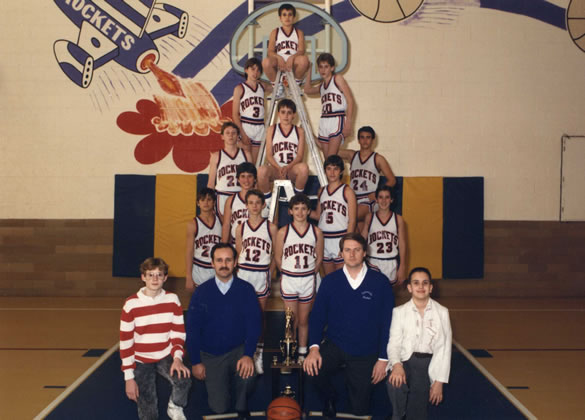 Again, for any Selmaville and Salem readers, here are some team photos where you're sure to find some familiar faces. Day 61: My name is Tim. And I have a problem.